How to Add Songs to iPad Without iTunes? Two Solutions! Do you know that you can add songs to your iPad without iTunes? We all know that iTunes comes with many restrictions and doesn’t give you as much freedom to add the songs you truly like. Fortunately, there are some other ways that can save you the stress of going through iTunes to add all your favorite music to your iPad. iMyFone TunesMate is a platform that is used to manage Apple devices and products. This fantastic platform allows you to move various files between your iPhone, iPad, iTunes, Mac or computer. With the iMyFone TunesMate comes a type of flexibility not commonly experienced when transferring files with the iTunes. And it receives lots of positive reviews from Getintopc, Geekreply. Easy and fast tow way mode file transfer – transfer file from your iTunes to iPhone or from your PC to your iTunes/iPhone. Quickly transfer of files from your iPhone to your computer, external storage device or iTunes. Bypass iTunes and easily transfer files directly to your iPhone. Download and transfer files without restrictions to your iPhone. Also Supports content that are not gotten or bought from iTunes. Transfer numerous files in different formats; transfer audio, video, data, podcast, Tv shows, iTunes U and much more. Step 1: Connect your iPad to your computer with your USB cable and launch the iMyFone TunesMate app. 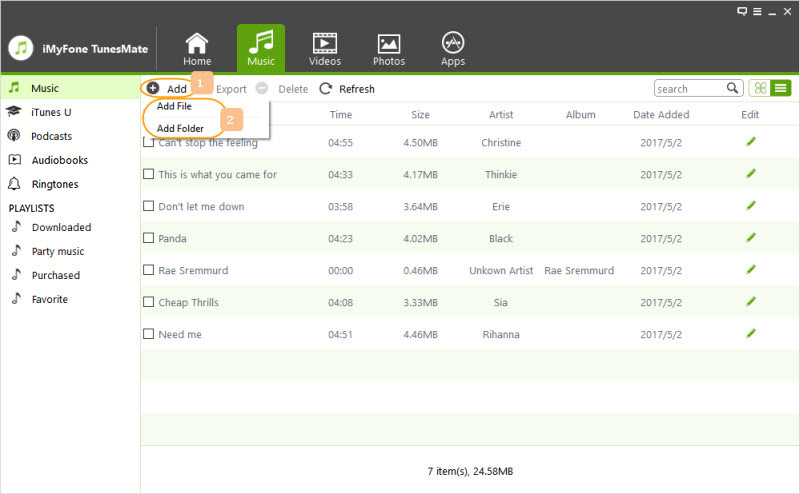 Step 2: To transfer music, simply select “music” from the top bar to open the music window. Step 3: To transfer music from your computer to your iPad, select “Add > Add File/Folder”. 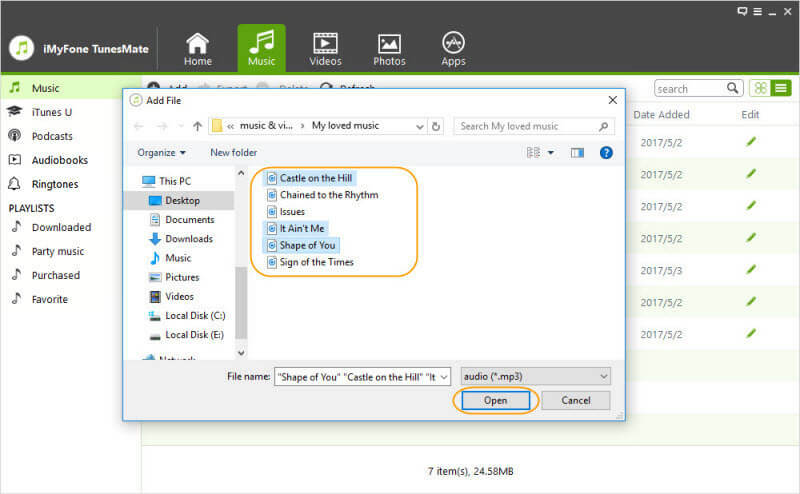 Step 4: To transfer selected songs, tap on “Add File” and find the music on your computer you would like to transfer; you can select multiple music files by using the “Shift” key. If you want to transfer a whole folder, select “Add Folder” and locate the folder on your computer. Step 5: Select “Open” to successfully transfer your selected music files/folder to your iPad. You can add songs to your iPad using iCloud, even though by default it serves as a backup to your device. Regardless, you can also use the iCloud to add music to iPad without iTunes. 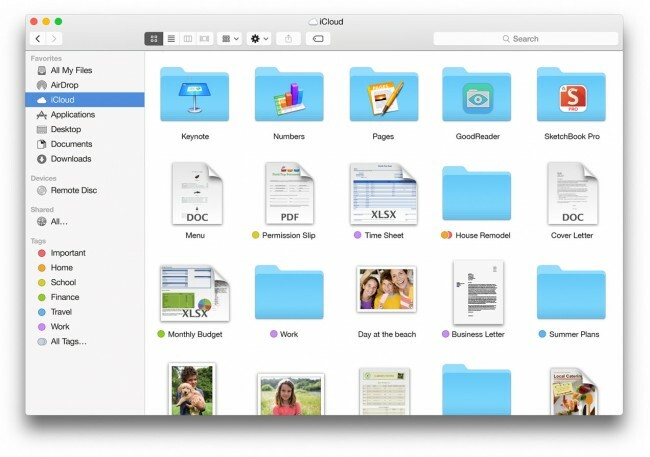 Step 1: Using the browser on your computer, visit “icloud.com” and log in using your Apple id. Step 2: Next, click on the “iCloud Drive” icon and then select “Upload” to transfer songs from your computer to your iPad. Alternatively, you can also use the Drag and Drop option. Step 3: To see your transferred songs, simply check the songs you uploaded on the “iCloud Drive” on your iPad. You need a data connection for this to work; your songs will not be synced with your media player, you can only access and play them directly from the iCloud Drive. Step 1: Using your UB Cable, connect your device to your computer. Step 2: Launch iTunes. Ensure you are running the latest iTunes version. 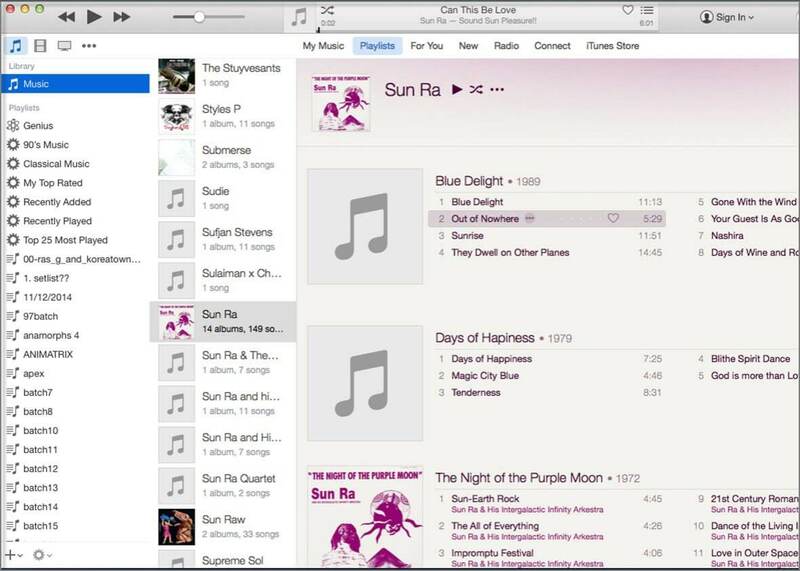 Step 3: Now, select the music files that you would like to transfer to your device from your iTunes library. Step 4: Check the left part in the sidebar portion of your device, then carefully drag and drop the music files you wish to transfer to your iPad. Also, fast, but can get slow if multiple files are involved. As we all know, iTunes does not give you the freedom to do anything you like with your media files, below are some of the limitations that iTunes users will have to bear should they choose to stick with the media platform. iTunes has a lot of compatibility issues and does not accept some very common music format like AVI, MKV and FLAC file formats. iTunes does not allow you export your media files from your phone to another device. iTunes has ceased being a pure media player as it is now filled with several features like the iTunes store and the likes that makes it so much more complex and bloated. You can only listen to songs downloaded and gotten from the iTunes store with iTunes. You cannot download and enjoy content downloaded from the internet on your iTunes.